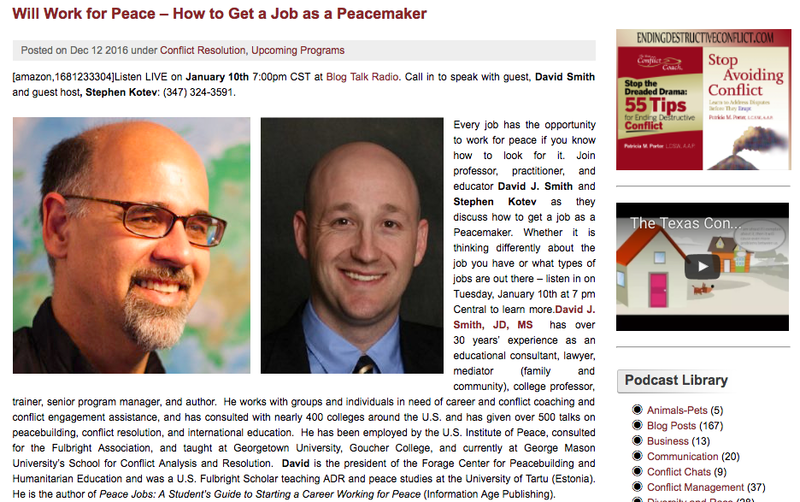 I will be interviewed on the podcast Texas Conflict Coach on my book on January 10 at 7 p.m. CST. Link below for more information. A link to the interview will be posted after the podcast is broadcast.